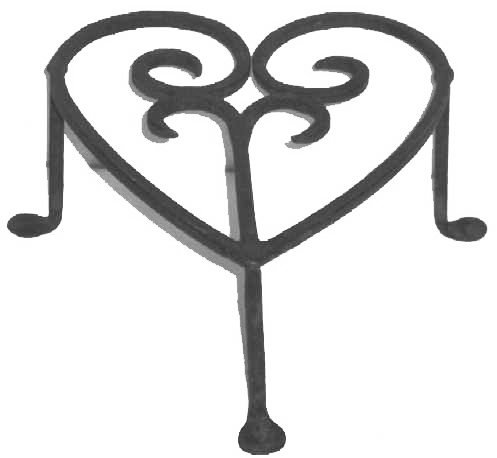 Presented here, a Heart Decorated Hearth Trivet that is a suberb example of the art of the Blacksmith. Circa 1750 - 1825. It's a "TEN" on a scale of 1 to 10! Standing on 3 penny feet, it is 4-1/2" high, 8-1/2 inches wide and 9" long. Condition is excellent!